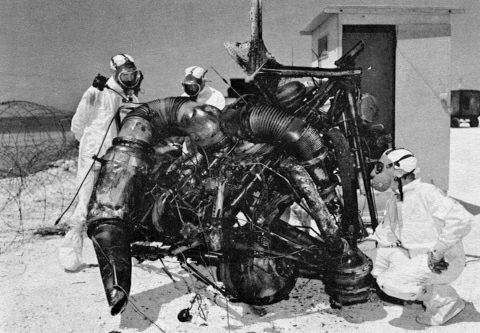 Description: Photo showing inspection of Thor rocket engine remains after failure of Bluegill Prime nuclear test attempt on 25 July 1962. Photo taken on Johnston Island in 1962. This page was last modified on 11 September 2018, at 21:56.